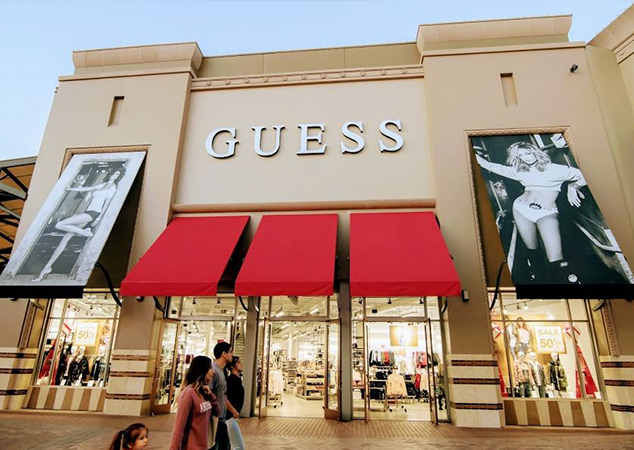 GUESS Factory offers iconic denim, apparel and accessories at outlet prices. 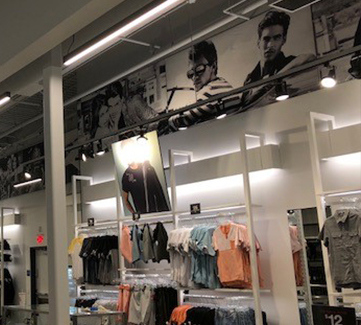 They wanted a way to add brand imagery, hide piping, electrical and other unsightly wall obstructions at their high-profile Citadel location just outside Los Angeles. They thought it might require building an expensive structure to cover them. Since the walls were not flush, a permanent buildout would be costly. 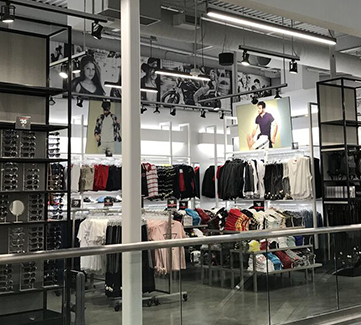 GSP used versatile fabric frames to mount over the obstructions and form a branded “filmstrip” look. 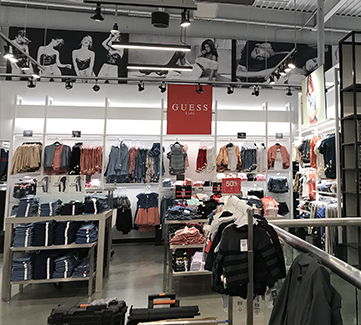 The look of the store was improved in a manner worthy of the Guess brand, and the merchandise is now what draws the attention of the customers. This idea was quicker and more economical than a build out. Our team project managed the process from design to install! Plus, we utilized some of the client’s existing frames. The fabric frames were easy to adjust at install and can be updated at a later time.